Autech LLC provides alarm monitoring throughout Anderson SC, Clemson SC< Greenville, Laurens SC, Simpsonville and Spartanburg. They specialise in low voltage installations and security solutions and can help you with effective alarm monitoring. They can also put remote monitoring in your hands with internet connectivity and smart apps. Alarm systems make it riskier for criminals to carry out their deeds. Alarm monitoring enables rapid response and reaction. Aiutech LLC provides security solutions for commercial application as well as residential applications. They can also provide alarm monitoring in both cases. Remote monitoring can be performed by a monitoring station. This allows monitoring staff to initiate response should your security alarm or fire alarm be triggered. When it comes to incidents such as robberies and burglaries, time can be of the essence. Rapid response can make a huge to the outcome of an unwanted act. Alarm monitoring can be extended to complete monitoring and control. This type of mobile control enables you to use your smartphone as a security management system. You can remotely arm or disarm your alarm system, control lights, lock and unlock doors, receive alerts and video feed. With live video feed you can see what’s happening at your home or place of work. You can capture images, speak to people on the ground and send alerts to a central monitoring station. Whether want additional protection at your business, facility or home, Autech can help. They have the right security solutions for commercial as well as residential applications. 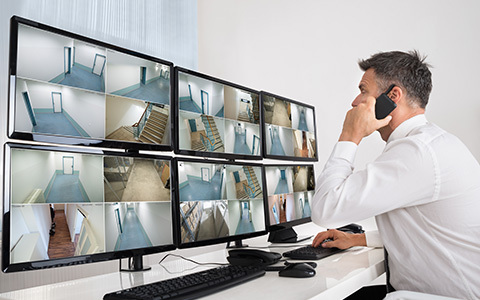 Alarm systems and alarm monitoring are important components in your security setup. They can be supplemented with additional systems such as access control and home automation. If you want proper security and peace of mind, the Autech can help you with alarm monitoring and related security solutions in Anderson SC, Clemson SC, Greenville, Laurens SC, Simpsonville and Spartanburg.